When you arrive at a place and it seems to be the best place you have stayed there is always an urge to stay longer and appreciate more your time there. Peniche for some reason did not seem and ideal place to go. I had a preconception that it would be industrial and not as nice a Nazare but we had to press on and the wind was already howling in the rigging. I commenced my morning tea break watching who dared to leave the marina and who choose to stay. The French always leave in their aluminum Onvi’s and two had already departed which left me with hope that the decision to leave would be the best. Then some old man comes up to Carlotta and I and advises us not to leave; in fact he basically advised us not to leave for the next few weeks. I took this information with caution but Carlotta displayed the worried face she does when the rigging starts making a noise and some stranger leaves doubt in our minds, so I now had to convince her as well that it was the right decision. I decided to follow my instinct as this has worked before but we had the same pontoon to come off with the same direction of wind as the first challenge. I read a bit of Tom Cunliffe’s advise on springing off a pontoon, which I had done before but with no success. So, it was time to give it a go we my new found knowledge. Our spectators were back out as soon as they saw me prepare the boat for the off. We reversed gently on our back warp; nothing happened. I had to increase the revs to 2,800 before she even began to turn, and turn she did, we came off that pontoon like true professionals with not a mark of embarrassment; thank you Tom Cunliffe. We motored out with no problems apart from Carlotta loosing her cap. We stopped the motor around 4 cables off the shore and ran under genoa. We had a great sail during the first part of our day but then as it does the wind picked up and we were dealing with 35 knots of wind. We reefed the genoa partially but Troskala was still making 6 knots. All was manageable but the wind by now was howling and we were experiencing a swell of 5 meters that would literally pick up Troskala and carry her towards land, which were now 3 cables away. We were rounding Carvoerio headland and could turn east to hopefully be protected from the North Westerly. As we turned the water became shallow and our 5-meter swell started to produce breaking waves, two of which gave the cockpit a good soaking. 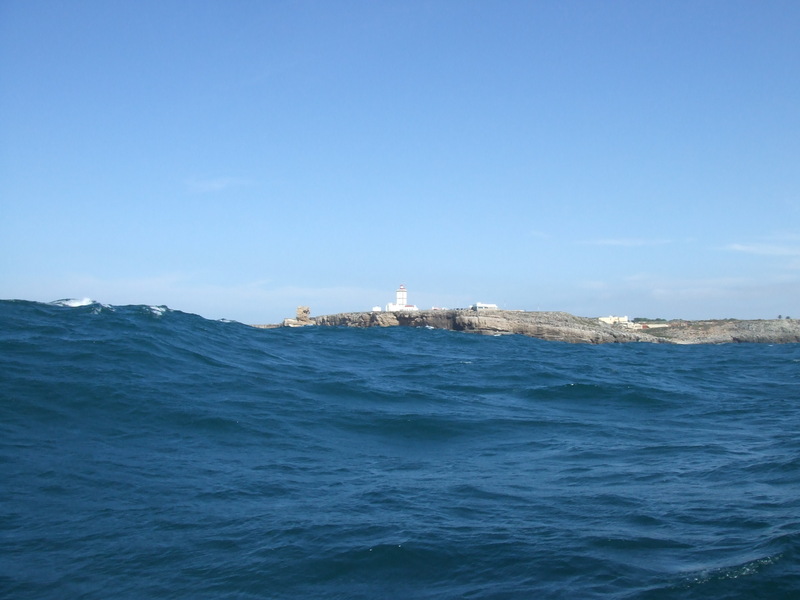 We now had Peniche in sight and the wind eased, the steerage was still hard to manage under the swell but we felt better with less wind. We came into Peniche with no issues and rafted next to another boat. 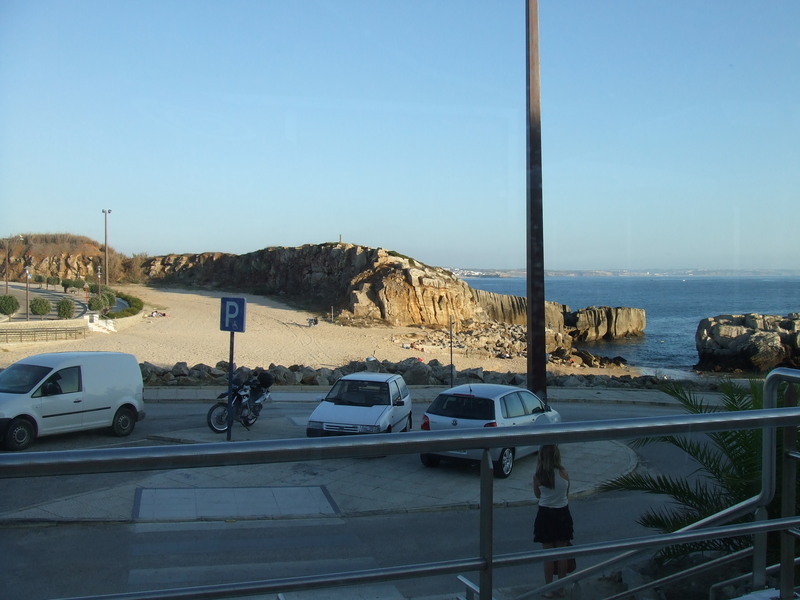 We met some fantastic people in Peniche and decided to stay another day. We had drinks with both Yacht Rafiki and Yacht Meriva who were all lovely people. 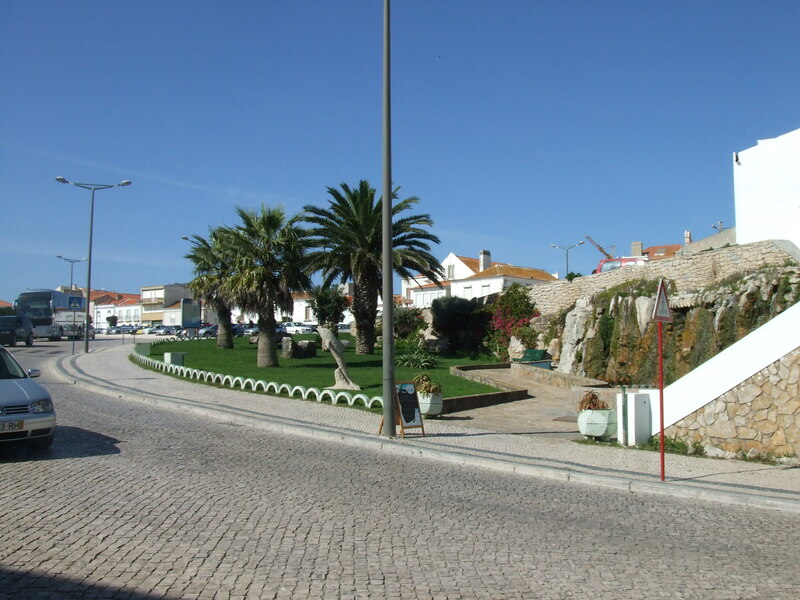 I was wrong about Peniche. Although it seemed very poor the people were friendly, the coffee cheap and the town clean and historic. There is an amazing fort that is a must see. 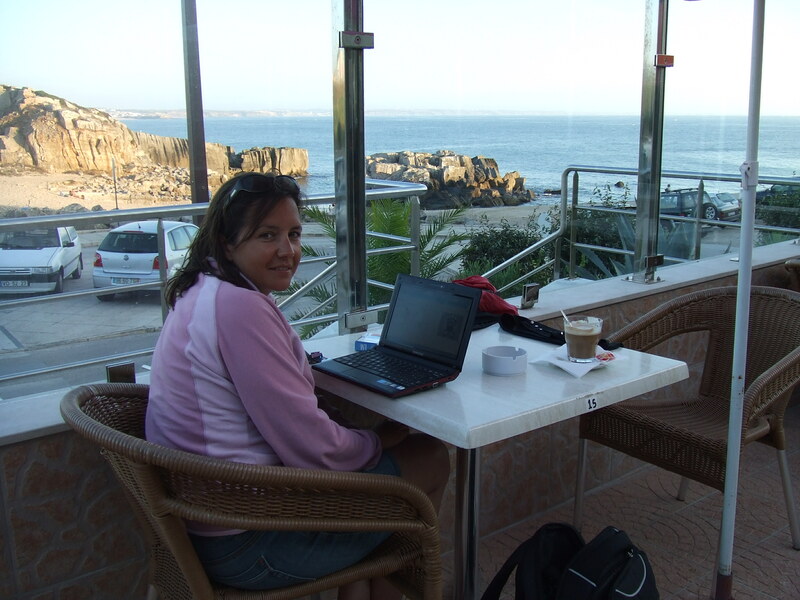 We headed over to a beach we had seen from the coast the next day and swam in the sea plus managed to get on top of emails in our new office by the sea. We were invited over to Yacht Meriva in the evening to have drinks with Sue and Tristan. 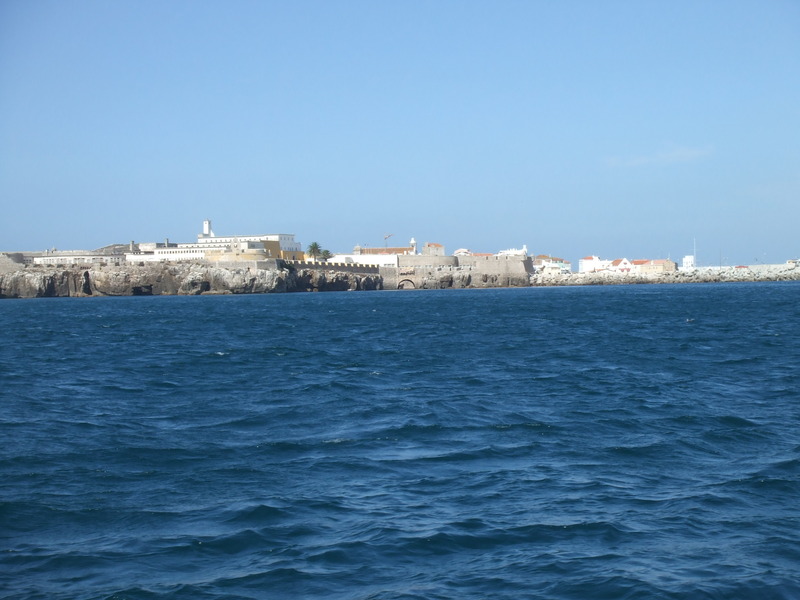 Peniche Harbor was a great stop over and the swell caused by the fishing vessels was not a bad as the almanac or word of mouth have you believe but we were there on a weekend so that may have something to do with it. I would like to share with you the costs of this marina but marina’s in Portugal shut over the weekend so we were unable to pay for our two nights, which is crazy but meant we have some more money in our pocket. Hi: if you see sue & Tristan again say hello from me. We met at Mylor Harbour. Hello. Yes they have just arrived in Cascais so no doubt will be sharing a drink with them tomorrow. How are you Richard and how is Glenda? We miss you both. What is happening with the boat? Anyway, we hope to see you soon and best wishes. Hello One. Si, we will be departing for Lisboa on Saturday to spend a couple of nights in a marina. 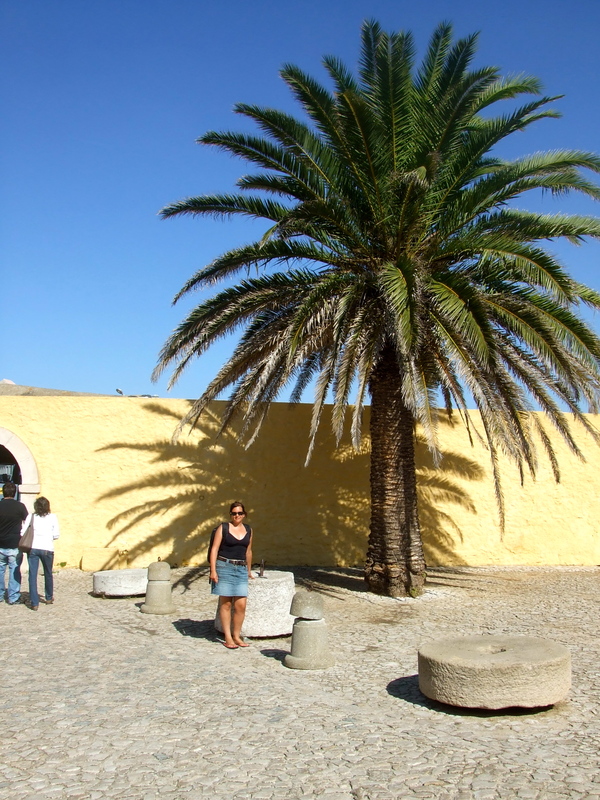 We will then head to Algarve and then South Spain before heading to Morocco. I hope you and Victoria are well. I can imagine the difficulty leaving Pedro’s family and the Portuguese hospitality! We went for a holiday and stayed a year! Hello Mark. Sorry I missed the mast email. Our mast was not in a good state with quite a bit of corrosion at the base. Also, someone had drilled large holes behind the cleats so in the end it got cut up by Holman Rigging and sold fro scrap by them. Sorry but I do not think it would have been a good mast to use onn your boat. We also removed the old winches and damage occured in trying to remove these. 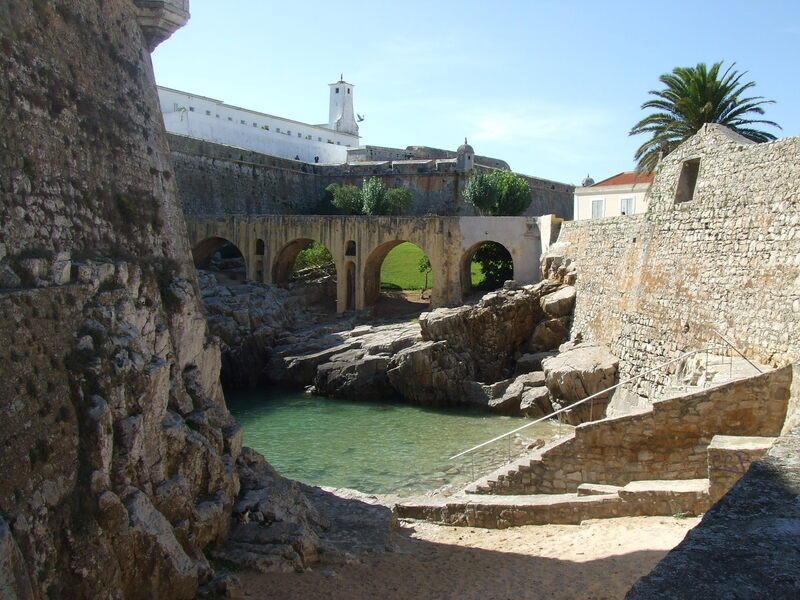 Yes, we are smitten with Portugal and have been now anchored for a week in Cascais enjoying the weather. Yes, my friend has the Go-Pro. I think after seeing the video I may have to purchase one. Thank you for the beer update. It is always good to save some money where possible. Thank you again for the comment and I look forward to hearing from you soon.